We strive to offer high quality legal services keeping up to date on the ever changing legal system. Peter Grosskopf has more than 30 years of experience in Elder Law, Estate Planning, and planning for Individuals with Disabilities or special needs. 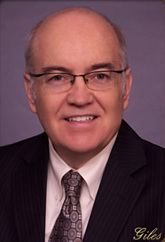 He is a member of the National Academy of Elder Law Attorneys(NAELA), Wisconsin Chapter of the National Academy of Elder Law Attorneys, the Special Needs Alliance (SNA) and Wisconsin Elder Law Section of the State Bar and serves on the Board of Directors. Peter is also on the Board of Directors for WisPACT the Wisconsin Pooled and Community Trust for Disabled individuals. He has presented numerous workshops and presentations on Elder Law and Estate Planning and serves as a consultant to several local financial planning organizations. He represents a variety of businesses, assisting with business development, incorporation and liability issues.